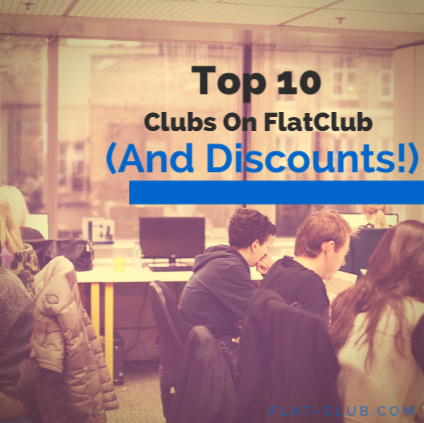 Clubs are a defining feature of the FlatClub platform and club membership comes with many benefits. Wait, what are clubs exactly? Very simply, clubs on FlatClub are private networks, most often for University or Corporate communities. To join a club we need to verify your affiliation to that network by email address or your social graph. There are over 400 clubs active now on FlatClub with a regular flow of new requests. Ok, so why have clubs? Club membership simply adds another dimension to the matchmaking process for short term accommodation. Both guests and hosts can verify their identities and affiliations to a network others know and trust. Discerning hosts can limit the visibility of their flat posting to certain clubs if they wish. Clubs on the site also enable FlatClub to better serve our University and Corporate client partners. (psst! all club members get a booking discount and the more members there are the larger the discount!) Learn more about our partnership services for Corporate and University communities. How about joining a club? These are the top 10 clubs by membership at present. And if yours isn’t on this list search for your club here. London Business School is where FlatClub began & is an exceptional business school in Europe. INSEAD is widely considered to be one of the best business schools in the world, and is based in Fountainebleau but maintains campuses in Singapore & Abu Dhabi. Columbia University is based in New York, and is one of the oldest Ivy League universities in the United States. ESCP Europe is a world famous business school with campuses located throughout the continent - in France, Germany, the UK, Spain & Italy. The London School of Economics is located in central London that emphasizes the social sciences. University College London was the very first university institution in London, and is considered one of the most prestigious universities in the world. Otto Beisheim School of Management is the foremost business school in Germany, and has one of the best EMBA programs in Europe. King’s College based in London is a popular destination for scholars, and is considered one of the top universities in the world. IESE Business School is a highly regarded business school based in Spain with a campus in New York. Imperial College in London is consistently ranked among the best universities in the world with highly valued graduates. So you’ve joined a club on FlatClub - congratulations! You can now enjoy all the benefits of club membership such as more trust on the site, an exclusive network of flats, and of course, special prices. Now, what next? Keeping in mind that the bigger the club, the higher the discounts, it’s time to grow your club. It’s simple to grow your club via social networks like Facebook, Twitter, and LinkedIn. We make it easy to share your club via all these networks. Click here and see how. You can also get in touch with your university to help spread the word about the club through your network. Universities & professional organizations are happy to share discounts & deals for their associates & partners through their websites & portals. Alternatively, you can use portal, an intranet, or anywhere where your network gathers to post about your club on FlatClub - like a virtual pin board. The benefits of being a club member are great - the benefits of being a member of a large club are even better! So, get that club growing and start to reap the rewards. 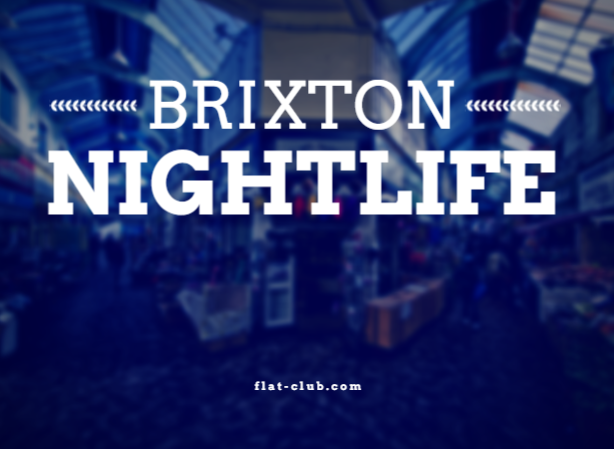 To round off our London neighborhood guide for this week, we've got nightlife spots in Brixton! Not into drinks & dancing? There is plenty more to see in Brixton - check out our guide. However, f you don’t want to go to bed until the sun comes up, that is entirely possible in Brixton. The area is host to several all-night music venues. If you’re looking for something a little more laid back, there are still options for you after the sun goes down as well! Club 414 - If you’re looking for a party, Club 414 has it. They’re known to occasionally stay open all night long, and into the next day. They play house and techno, and play host to some live bands several nights of the week. Dogstar Brixton - Dogstar stays open late - often until 3 or 4 on weekends - and offers some reasonably priced drinks. The music might even cause you to consider busting a few moves on the dance floor. Jamm - True to its name, Jamm is the nightlife spot for some good music. From DJ nights to live music on the weekends, your night out is bound to be jammin’. Effra - For a more relaxed night out, head over to Effra. Great food, a lovely beer garden out back, and excellent jazz compliment the venue that is a mix of old-school pub and modern nightlife spot. Bar with No Name - Fresh, posh, minimalist. These all describe the cocktail Bar With No Name that is one of Brixton’s newer nightlife spots. 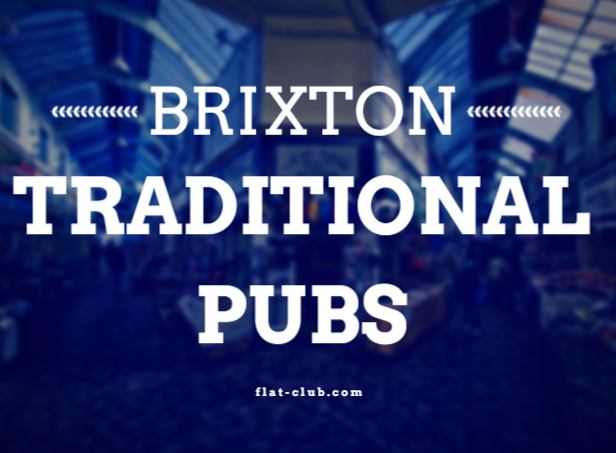 Brixton’s pubs run the gauntlet from old traditional boozers to classy gastropubs. There’s definitely something for everyone, whether you’re in the mood for a late night out or have little ones in tow during the afternoon hours. The Prince Albert - This traditional pub offers delicious pub fare as well as some great burger and a pint deals. The clientele is diverse and local, often congregating to relax with a pint in the terrace out back. The Prince of Wales - During the day, The Prince of Wales is a great place to grab a pint or fill up with one of their great menu items and relax on one of the roof terraces. At night it is a lively music venue, open late on the weekends. Prince Regent - Prince Regent is one of the most elegant pubs in Brixton. With its light and airy interior and seriously delicious menu, feel free to bring the family and eat up! The Grosvenor - Sporting a pool table, board games, and a room set aside for live music gigs, The Grosvenor is the perfect place to settle into for a couple hours with your friends. Crown and Anchor - Crown and Anchor has an impressive list of credentials, including a CAMRA nomination and being included in the Guardian’s Top 10 Pubs in Britain. Add in 25 available taps and we’ll be surprised if you find a reason not to go! 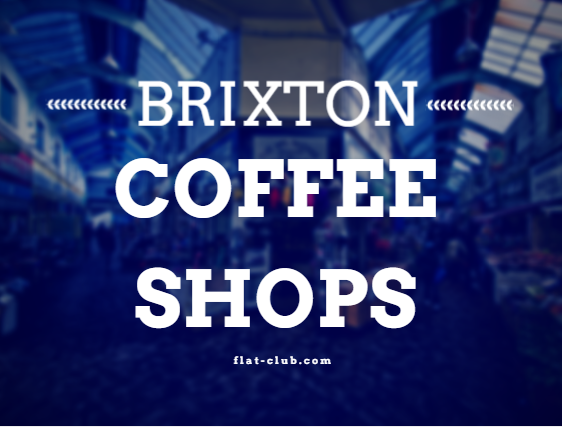 Everyone loves a well-crafted coffee, and Brixton is fond of its trendy coffee scene. Whether you’re looking to become a regular who feels more like family at a cozy cafe or are looking for a unique roast, there’s bound to be a shop in Brixton that brews your coffee the way you like it. Wild Caper - A light and airy space in the Brixton Market, Wild Caper serves up Eastern Mediterranean for breakfast, lunch, and dinner. They are also serious about their espresso. Rosie’s Deli Cafe - Who wouldn’t want some delicious comfort food along with their coffee? The cafe sees a stream of regulars walking through its doors again and again for the sweets and coffee served in ornate cups. Phoenix Cafe - The Phoenix Cafe recently moved into a new venue, and is freshly redecorated with a clean, minimalist look. The new premises certainly don’t mean anything has changed about the fabulous coffee and food the locals flocked to previously. Federation Coffee - If you’re looking for a coffee shop dedicated to its coffee, Federation is where you need to be. With their own roastery and blend, coffee connoisseurs sing this shop’s praises. Opus - Simple and good, Opus is your “friendly neighborhood coffee shop.” This corner shop is airy and has all the best sweets to accompany your morning coffee. We continue on this week with our adventure in Brixton - read up on our London Neighborhood guides here! Brixton’s international community makes sure there are plenty of diverse food options in the area. It has turned into the home of many immigrants wanting to share their traditional dishes with the London market. Caribbean, French, Algerian, and British cuisine are all represented in the area, amongst other exciting options. Bamboula Kitchen - This Caribbean restaurant and takeaway will take your taste buds straight to Jamaica. The colorful decor matches the colorful menu - so if you’re in the mood for something exotic, head to Bamboula. Honest Burgers - Fast food at its best, they are usually packed with customers enjoying one of the delicious chicken, beef, or vegetarian choices. You don’t have to wait in a crush of people, however - they take your number and send a text when you can sit. Champagne et Fromage - Recommended by Twitter user @aileengarden, Champagne et Fromage is a fun French experience for fans of the sadly closed Upstairs in Brixton. Ana amazing champagne selection, as you might've guessed, and more delicious cheese and charcuterie than you can imagine. Book a champagne afternoon tea for a great experience you won't soon forget. Curry Paradise - Locals flock to the authentic Indian cuisine served in a classy black and white interior and available for takeaway. Curry Paradise has a great menu cooked fresh to order, which includes vegetarian-friendly dishes. Boqueria - Inspired by Barcelona’s market “el mercat de San Josep de la Boqueria,” or simply Boqueria, this restaurant was born to give customers a taste of the authentic, high-quality food and wine found there. Rustico - Rustico’s founders represent a blend of nationalities lead by an Italian Head Chef. The interior of the space matches the name and features rustic-chic decor and sets a relaxed, intimate tone perfect for sharing a lunch or dinner with friends. Satay Cocktail Bar & Restaurant - Good food and excellent cocktails are Satay’s specialties. From Indonesian to Thai, the menu items are varied and authentic. Add a full bar into the mix and Satay is the perfect spot to unwind from a busy week. Herne Hill Fish Bar - With generous portions fresh to order, locals flock to Herne Hill Fish Bar any time they are craving good, traditional fish and chips. The no-frills approach is definitely working for this little takeaway, as everyone raves about the quality and taste. Brixton Cornercopia - Situated in the Brixton market, Cornercopia sources all of its ingredients locally, to ensure fresh and quality food. It is a trendy spot in the village area, so you might have to wait for a table on a Friday night. Khamsa - If you’re looking for something a little different, try out Khamsa - an Algerian cafe. With a cozy atmosphere and traditional cuisine, Khamsa charms new customers and regulars alike. 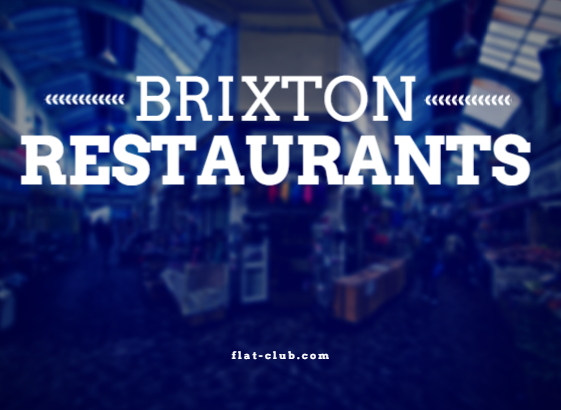 We're starting off this week with a brand new guide - Brixton! 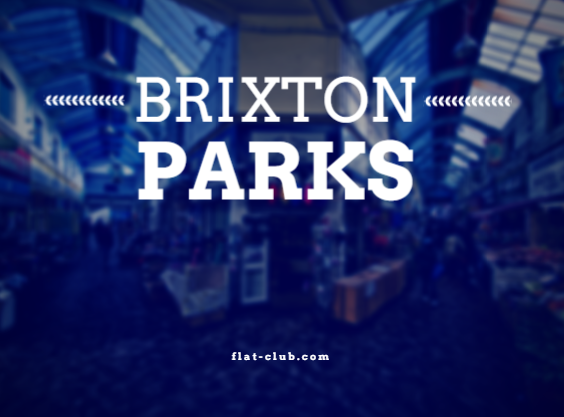 An up & coming neighborhood with lots to offer young visitors & people interested in a less-'tourist'y experience in London, Brixton is noteworthy for it's many great restaurants & night life spots. Brixton’s rising trendiness also gives rise to more hustle and bustle in the area. When you need to take a deep breath and relax in an open space or run all that stress away, there are plenty of parks to choose from! Ruskin Park - This Edwardian park was awarded the Green Flag for keeping up exceptional park standards. This well-manicured park also includes a bandstand, children’s play area, and several sports pitches and courts available for hire. Myatts Field Park - Myatts Field Park is a recently renovated Victorian park perfect for community. With a wildlife area, cafe, greenhouse, and other centres designed to include the community, you’ll never get bored. Brockwell Park - The perfect example of a historic park, Brockwell contains ornamental ponds, a 19th century clock tower, and other historic buildings. Stroll around in the sunshine, relax, and pretend you’re in a bygone era! Belaire Park - Between a pond, wildlife area, sports pitches, a garden, and play area, you’ll need to visit Belaire Park several times to see all it has to offer. After relaxing for a few hours, you can also grab a bite to eat at the Beauberry House cafe. Milkwood Park - Milkwood Park is the perfect little spot to relax and have some quiet time along a nature trail. Or if you’re up for a game of basketball, there’s a free court. Either way, you can soak up some sun in this little park tucked between Camberwell, Herne Hill, and Brixton. You’ve seen our great improvements on our flat postings, so now you’re wondering how to make sure that your flat sticks out amongst your peers? We’ve got your answers! Starting from the top of your new page and working our way down. We’ve added a cover photo to our flat pages to further personalize them - choose yours to define the mood of your flat, rather it’s the view outside your place or just a beautiful room in the property! When a guest checks out your flat, one of the very first things they’ll see is an approximation of where it is on the map. This should answer a lot of questions that you otherwise would’ve had to field! Experienced Host - a host on FlatClub who has had successful bookings. Trusted Host - a host on FlatClub who has been verified & is ready to welcome you. Pro Host - a host who rent out apartments and rooms as a business. New Host - a host who recently joined & is eager to give you a great experience. So guests will know more about you straight away - we recommend getting verified to become a Trusted Host in order to become an Experienced Host later! Guests can now more easily navigate between the different content on your flat’s page - from pictures, the description, location, and reviews! This makes things much more simple & will help to answer any questions they have. This is a great opportunity to take advantage of our free photography service, and excellent photos will definitely pitch you ahead of the competition. Get in touch with us and schedule your free photography session now! Here’s your chance to work on your flat description as well - and we can help. We offer a free copywriting service for flats on FlatClub, so let us know if you’re interested in getting your description boosted a bit. We’ve also taken the most asked questions and their answers from your existing description and made them easier to find for guests. This is some great info to share straight away on the flat page - it’s probably the number one question that hosts receive! Make sure that your flat placed on the map accurately. We’ve added categories for amenities as well, so they’re easier to digest and understand. This is a great chance to add any amenities you might’ve forgotten - or maybe pick up some extra towels or linens. Location - This one is pretty self-explanatory, this will give guests a general idea of where your property is located. Transportation - This is a very handy tab for guests, they’ll be shown an overlay of the nearest bus stops & what they’re called, alongside the nearest DLR, Overground, and Underground stations. Bookings in the Area - Guests, especially club members, might be curious to know that others have been staying in this area. For example, if your prospective guest is an LBS student, they’d be interested to know if other LBS alumni & students have stayed nearby. Around the Area - Our Yelp API is such an exciting feature it’s gotten it’s own blog! In short, this tab will show guests the coolest stuff near your flat. Guests can enter in their ultimate destination in your city, or even just a landmark they’d like to see - and when they do they’ll be shown the commute time via public transport, walking, or biking. No need for you to calculate it out for a guest. 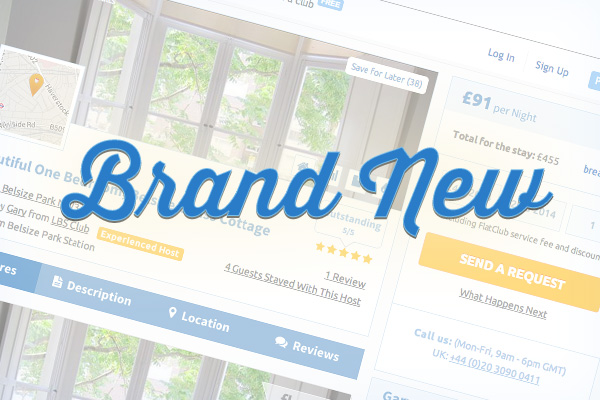 We can import external reviews for hosts now, and we’re making all the stays at your flat available to view - even if the guest hadn’t left a review! We highly recommend encouraging reviews out of your guests; the best way to do this is to leave them a review yourself. Our biggest suggestion is to be a good host - be responsive and proactive with your availability. Now your response time and availability updates are visibile, so make sure you’re well updated. The best way to stay on top of your availability is to sync your external calendar to FlatClub. We also have a button where you can easily confirm that your calendar is up-to-date. Click it frequently to refresh the availability, even if there are no changes, to maintain a high ranking. Having a good response rate & a synced calendar means more relevant bookings with less questions. We all know a picture speaks a thousand words, so a cover photo will do a lot of talking for your flat! Your cover photo will introduce the rest of your flat to your guest, so make sure it looks brilliant. Need some inspiration? We think the cover photo is a great opportunity to show off the view from your flat - whether that’s a park, the city, or anything in between. This helps your guests get a feel for your flat in real space. If you can’t seem to get the perfect shot, take advantage of our free photography service. Your personal profile is now more prominent, so it’s a great reason to add some more information and make it more appealing to guests. Add a profile photo & a summary about yourself so guests feel like they know you better. Those are just a few of the ways to improve your new flat view & make it stand out a bit more. If you’ve done something fun & interesting with your flat posting, let us know and we’ll share it on the blog. If you want tailored advice for your posting please contact us at hosts@flat-club.com and your account manager will assist you! Rooms in London aren’t always sprawling, spacious mansions. While they’re perfectly livable - an apt description is usually cosy. 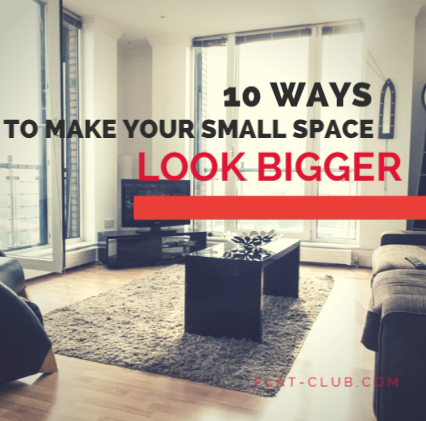 There are ways, however, of making your flat or individual rooms feel bigger. Do one, a couple, or all 10 & you’ll soon notice yourself stretching out a bit more. Everyone knows black is slimming - it’s because it absorbs light, whereas white reflects it. It’s the same when it’s used in a room, making the space appear smaller when a lighter color palette makes the room & objects within ‘expand’ in the viewer’s mind. Just mind where you drink red wine. Try to eliminate the use of overhead lights - they’re harsh, unflattering, and worst for your room they draw the eye just to one central point. Using multiple softer light sources in a room or home will highlight multiple areas, making the property seem larger. Added bonus, you & your guests will look better, too! Sure, the best way to make a room look larger might be to eliminate this clutter altogether - but that’s very impersonal & for many hosts inconvenient. If you have a collection of things, it’s nice to show them off - but there is a style to it. Color coding is the most dynamic looking option visually, but grouping things by size, style, or shape will also make for a less ‘cluttered’ looking room. Same objects are left out, but they seem organized and styled rather than just out in the room. Make your home stand tall by highlighting things that make people crane their neck a bit. Stack shelves high (of course, let safety guide your decisions on what to put on those shelves) and paint or wallpaper your ceiling. An airy, not busy design or a lovely, delicate pastel up above will make things seem expansive. This classic trick creates an optical illusion of infinitely open space. Another option that lets a bit more light in is to have a mirror facing a window - but just choose a window with a nice view, as you’ll be seeing it twice as often. This one is a great option for hosts who are able to do some medium-scale renovation to their property. Traditional swinging doors take up quite a bit more space. Using sliding doors in the bedroom, kitchen and bathroom will not only take up less space, it will make all surrounding rooms appear larger if left open. Invest in furniture that doubles up - things like ottomans that can be used as seating and storage, and bedside tables that are actually small cabinets. We suggest a trip to IKEA and Muji to find things that you can use multiple ways. Bonus points - they’re usually translucent or light coloured objects at Muji! We don’t mean wear an oversized wig - we mean lay a big, bright rug across the floor of your living space. This will draw the viewer’s eye across the room, making it seem further out than it is. It is also a good way to get a quick pop of colour in a room. If you’re furnishing your property look for things with legs...not just items that will maintain their value, but literal legs as well. The higher up your couch, table, bed and other furnishings are the more floor space is opened up - it makes your place look that much bigger. Already furnished? Look into risers! 10. It’s Curtains for You! There are some great tricks you can do with curtains to create the illusion of a larger window - larger windows make for larger looking rooms, so it’s sort of a double illusion. Hang the curtains above the window, and drape them so the open wall space is not visible. Suddenly, you have a much larger window. You can do this length-wise as well, by hanging curtains & drapes alongside a longer expanse of the wall than your window actually takes up. You’ve got guests checking into your flat very soon - what do you do? Let’s say you’ve got 24 minutes - here is your last minute prep. It’s like 24, but in minutes & more focused around tidying up. 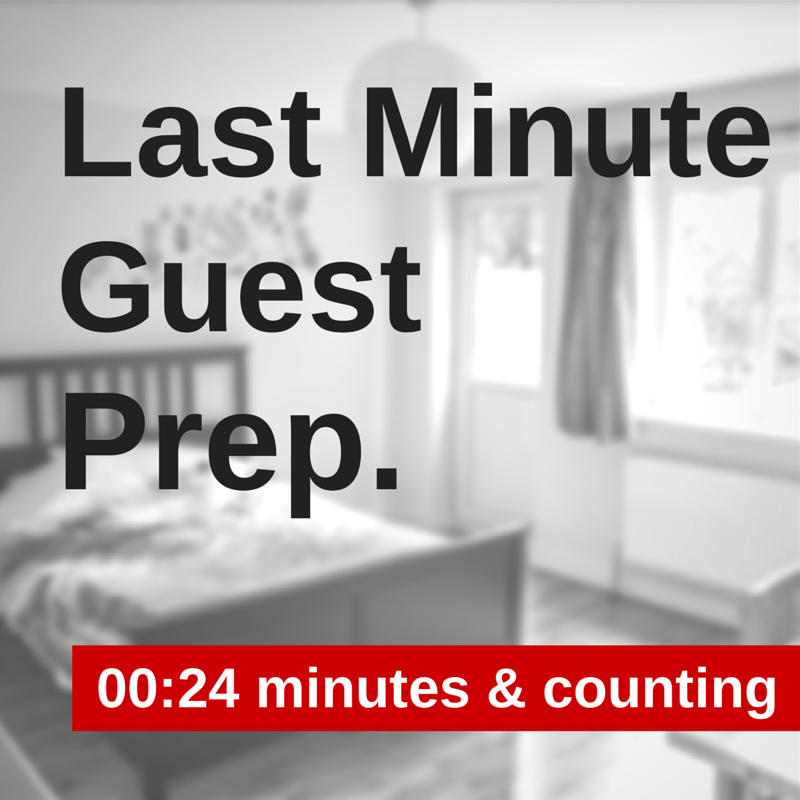 While a deep clean is preferable before guests arrive, we know it doesn’t always happen. Give the place a bit of a spruce up with the hoover & dishwasher. Take a look around with a laundry basket & a bin liner in tow: grab any stray bits of dirty laundry, extra shoes, and wrappers, miscellaneous papers, et cetera. If you’ve got things you just want to tidy away, not necessarily throw away, put them in a closet that your guests won’t be able to access. Light some candles and maybe place a couple of coffee table books to add to the ambiance. If you have no candles, give the room a quick spritz of a relaxing and gentle fragrance such as vanilla or lavender. By doing this about 10 minutes before guests arrive, it gives the fragrance time to settle. Make sure the bed is turned down and looks inviting - turn on a lamp in the bedroom so when you open the door to your guests it looks comfortable & warm. Gather a few nibbles for your guests to snack on after you’ve shown them around. Things like nuts, fruit, dried fruit, crisps and little cakes will always go down a treat. Put the kettle on or start on a brew. For an evening check-in a spot of wine could be a nice, relaxing introduction to your property too! Now, take a moment out for yourself. Get reacquainted with your flat or the room that your guest will be staying in, and think about what you’d like to know when first entering. The wi-fi password, any numerical locks outside, shoes on or off, and so forth. It’s a good idea to jot these down alongside some important phone numbers for your guest - particularly if you won’t be staying in the flat alongside them. After that, do take a second and just relax and compose yourself. If it’s your first time hosting, just relax! Your guest may be tired from travel and not looking to have a long discussion or they may be eager to learn about the area - you’ll be able to read that shortly. Just have a quiet, calm moment with yourself before the guests arrive. 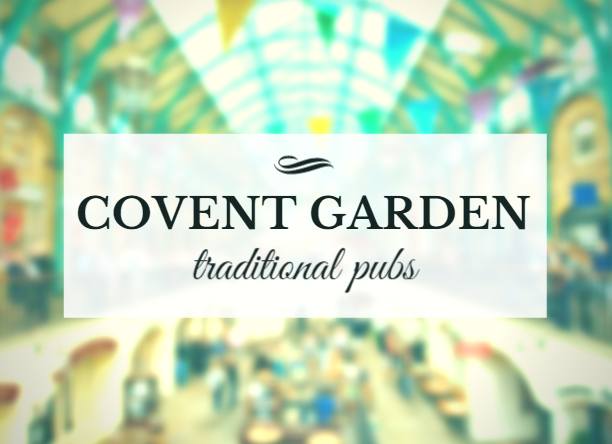 Covent Garden is steeped in history, and so are the pubs that reside here. From pre-World War establishments to rebuilt beauties, there’s a pub for almost everyone in the area. Grab a pint and feast your eyes on the interesting architecture. Pubs not your thing? Check out the rest of Covent Garden! Punch & Judy: The Punch & Judy is full of history, from the puppet play that gave the pub its name to the original brickwork that survived the blitz. You can even take your drink up to watch the street performers from the balcony. Lamb & Flag: The Lamb & Flag is cozy, family friendly, and full of literary history. Charles Dickens used to be a regular here, so grab a pint and bask in the history on what has been a pub site since 1772. Nell of Old Drury: Close to many of the great theatres in Covent Garden, Nell of Old Drury is yet another great historical pub in the area. So if you’re soaking up the nearby culture, why not grab a post-theatre drink? White Lion Pub: Full of great pub food and real ales, the White Lion Pub is a popular spot for locals in the area, from office workers to musicians at the Royal Opera House. The fantastic architecture will welcome you in for a pint, no matter where you’re from. Marquess of Anglesey: These premises have been licensed since 1663 and offer great pub food and cask ales. The building had to be mostly rebuilt after bomb damage during WWII, and some shrapnel damage is still visible! The call of caffeine is a strong one, and Covent Garden answers it with some fantastic options. Whether you go for the tried and true Monmouth Coffee or something new, there’s a caffeine fix for everyone. Notes Music & Bakery: This cozy, chic cafe is the perfect place to enjoy your flat white. However, Notes is well-known among regulars for more than just its coffee - they have an excellent wine selection as well as a delicious, seasonal food menu. Salt Espresso & Tea: Salt Espresso uses Square Mile Roasters blend and is dedicated to the perfect coffee experience. They also carry a great variety of loose leaf teas from Waterloo Tea. For an excellent brew of coffee or tea, head to Salt. Monmouth Coffee Company: Monmouth travels the world to discover the best coffee, and their dedication shows. Coffee shops from all over London brew Monmouth, so why not grab a cup from the original company? Compagnie des Vins Surnaturels: For anyone who has never seen Neals Yard, the establishments in this yard are the epitome of “hidden gem.” This French wine bar and restaurant is famous among regulars for its coffee, but don’t forget about the great food. Paul: This bakery with excellent coffee has history going back to 1889 in France. Enjoy the chic, laid back atmosphere and smells of the traditional baking processes of this family-owned establishment. Not near Covent Garden, or want to know where all the best coffee is in London - period? Check out our other Neighborhood Guides! 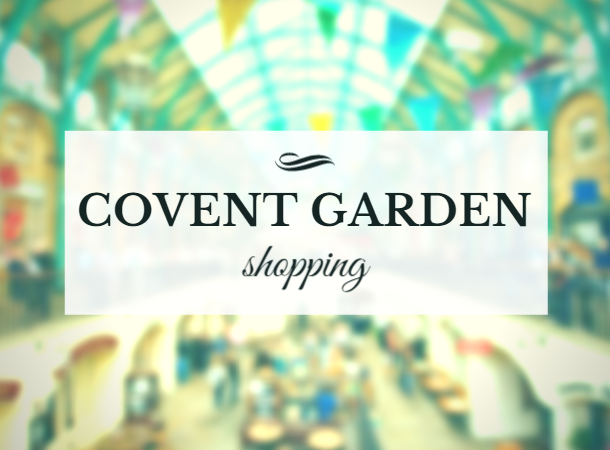 From upscale retail to lively markets, Covent Garden has all the shopping you could hope for. Go from the world’s largest Apple store, to shops dedicated to beloved cartoon characters, to one of the most brilliant tea shops in Greater London. Apple Store: The store opened up at this prestigious address by the Covent Garden market as the the largest Apple store in the world. Apple’s signature techie look is combined with restored stone flooring and original brickwork. Covent Garden Markets: From handmade goods and artwork to antiques and sweets, the markets around Covent Garden are extensively stocked by a wide variety of vendors. If the Camden markets aren’t your style, Covent Garden might be for you! Whittard: This branch of Whittard is home to over 130 varieties of loose leaf tea, as well as coffee and other delicious drinks. Don’t forget all of the tools it takes to brew the perfect cup of tea for yourself! Whittard is a must-see for tea enthusiasts. The Tintin Shop: If you’re a fan of Tintin, the Tintin Shop is a must-see. Dedicated entirely to the character and his friends, you can find everything from books, posters, and t-shirts to stationary, figures, and even crockery in here. Benjamin Pollock’s Toy Shop: Benjamin Pollock ran a theatrical print shop in Hoxton, and was loved by local children and adults alike. After his death in 1937 others have carried the shop on in his name, and today it is a wonderland of theatrical toys and collectibles. Not staying near Covent Garden? Take a look a the rest of our London Neighborhood Guides! We're moving forward with more neighborhood guides for London's top spots - Covent Garden is up next and it should be a doozy! Covent Garden is one of the most visited areas of London, both by tourists & people who live here. With so much to see and do, it's nice to get a quick overview before you head out and get overwhelmed. So, with this abundance of options, it is difficult to go wrong when it comes to choosing a restaurant. Covent Garden is home to pies, Italian, pancakes, and pizza - just to name a few. So treat your tastebuds and try a few of these finds! Battersea Pie Station: Tucked away down some stairs in the Covent Garden market, just look for a sign that says “The Pie Shop.” The no-frills Battersea Pie Station packs a delicious punch with every item on its menu. Polpo Covent Garden: The first branch of this tapas-style Italian restaurant opened in London in 2009, and has since expanded throughout Greater London thanks to its popularity. Polpo uses fresh ingredients, and quite often there’s a queue for tables. Dishoom: An old fashioned Bombay cafe in the heart of London, Dishoom is locally famous for their breakfasts - their bacon naan rolls are fantastic. However, they have an equally delicious lunch menu. My Old Dutch: Warm, bright, and family friendly, My Old Dutch is passionate about pancakes. Offering sweet and savory pancakes, as well as traditional Dutch starters, it is the perfect place to get your pancake fix with a few friends and some family. Fire and Stone: A modern take on the classic pizzeria, Fire and Stone offers mouth-watering flavor combinations that have been inspired by cultures around the world. They use the freshest ingredients, and also offer starters, salads, and wine. Cafe Chutney: Located on the lower level of the Covent Garden Market, Cafe Chutney is an all-day restaurant serving Indian cuisine. We recommend grabbing a table outside to watch the market crowds as you enjoy your meal. Gourmet Burger Kitchen: There’s nothing quite like a well-made hamburger with a gourmet twist. The Gourmet Burger Kitchen will satisfy your cravings and then some with their burgers loaded down with fresh, tasty ingredients. Big Easy Bar B.Q. and Crabshack: Barbecue prepared using the best selection of meats possible, an American Gulf Coast-inspired atmosphere, and live music every night of the week combine to make a BBQ joint impossible to resist. 21: 21 is a restaurant and bar that spans three floors of the Covent Garden Market building, including an impressive balcony. You can enjoy your Italian and well-made cocktails on the terrace before a show, since you’re already in theatreland! As priceless as the memories of a study or internship abroad experience are… the travel itself can come with a steep price tag. It takes a lot of saving to be able to temporarily relocate to a new country, so being smart with your money shouldn't stop as soon as you’re abroad. We have 10 money saving tips to help you stretch your dollar as you travel. This rule is true almost anywhere in the world: the grocery store is going to be cheaper than a restaurant. All you need is some space in a refrigerator and you can save hundreds of dollars a month. Seriously - refills in restaurants abroad are not free. Eating at home also makes it easier to eat healthy. Cards like the Bank of America Travel Rewards Card are meant for going abroad - no international transaction fees! That phrase will soon be music to your ears. Using a credit card abroad with international transaction fees could very easily double the money you think you are spending - even before calculating the exchange rate. Ouch. If you can, find an affiliate bank abroad (for example, Bank of America is partnered with Barclays in the UK - no extra flat fee for withdrawing cash from their ATMs) and only withdraw cash from those ATMs. Use that zero international transaction fee credit card as much as possible, but the necessity of keeping cash on you will still be there - so bring along your debit card. Take out large amounts of cash as few times as possible - this will lower any fees you may still have to pay. If at all possible, get your smart phone unlocked at home and take it abroad with you. (I ended up taking my father’s old smartphone after his upgrade, since that was the only phone we could get unlocked by the phone company.) SIM card plans abroad are generally very good value for what you need. If you happen to be traveling within the UK, we already have a list of the best pay-as-you-go phone plans. £15 for unlimited data and more calls and texts than I could ever use per month? You can bet I signed up for that! In Europe, there are student discounts everywhere. Just get into the habit of showing it at any attraction or activity you happen to be at. Whether you run across the occasional paid museum in London, or are headed to the movies - try it on everything! You can even apply for an International Student Identity Card (ISIC) which may be recognized in more places than your university’s card. One of the main reasons to go abroad for school or an internship is to travel. Take advantage of the other nearby countries as often as possible without breaking the bank by grabbing tickets from budget travel companies like Ryanair or Megabus. If you’re spending the weekend in a new location, check Hostelworld for a place to stay that won’t break your bank. For your semi-permanent residence in your host country, don’t forget FlatClub! We can help you find accommodation for your abroad program with one our many hosts. You would not believe how many free things there are to do when you travel. London may be known for its free museums, but free activities are all over Europe. Sandeman’s New Europe Tours are found in 18 cities throughout Europe, the Middle East, and the United States. If your vacation spot isn’t listed on Sandeman’s website, all it takes is a little searching on Google to find other free tours such as this Rome Free Walking Tour! Don’t forget to set your new city for Groupon and Livingsocial to your new host city. There are food, attraction, and experience deals on that you may never have heard about otherwise. Viator mainly offers deals for activities in tourist destinations. If you’re looking for a weekend getaway, Groupon and Livingsocial both have great package deals on offer as well, many times with flights included. If you get used to researching every short trip as you plan, it won’t take long before you become a money-saving pro for holidays! Recent changes in the economy, the digital revolution, and government support has increased the number of graduates and alumni who make the career decision to become entrepreneurs. Many of them decide to do so after gaining experience within a company. A survey conducted by London Business School Career Services in 2012 found that 7% of graduates answered YES to the question: 'Are you an entrepreneur?' when asked upon graduation, while 50% answered YES within 5 years from graduating. Universities must adapt to this changing business reality in order to stay relevant. The main need of entrepreneurs is access to networks and reputation. These two components are crucial to make the first sales as a company, and establish a brand. The other needs of entrepreneurs are to minimize cost, and maximize resources. The plan below requires ZERO direct costs from the university, and was successfully implemented by London Business School. 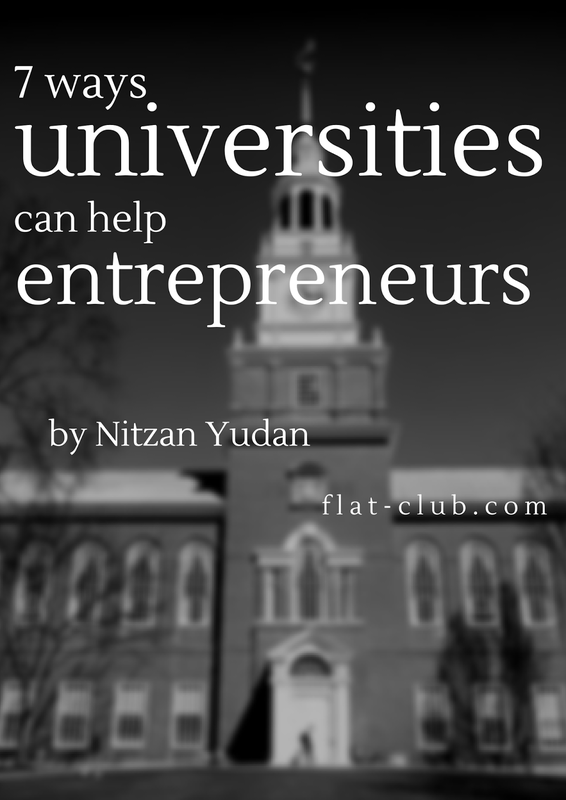 Helping entrepreneurs build their reputation can be quite simple for a university; it’s mainly to do with the prestige associated with the university itself. If you help to promote your entrepreneurs, through any university channel, you will aid them in building their reputation. A simple solution is a page on the university pages with a list of companies, logo, and short description of business started by alumni of the university. This will not only help the entrepreneurs reputation, but will also help the ranking of their websites in search engines such as Google. Your alumni network, faculty, and staff can be an outstanding resource for mentoring and advice for entrepreneurs. By facilitating these relationships, both sides benefit. An email to budding entrepreneurs in the university asking who would like to participate in a mentorship program. Once you’ve collected the interested parties’ information, a simple database can store their info. To faculty, staff, and alumni (could be part of a newsletter) to ask who would like to participate as a mentor. Collect the information by industry, expertise, and location. A simple database and an online calendar could be a great start. Email your entrepreneurs to register to this programme. A good idea is also to organize a networking event inviting all mentors and entrepreneurs to the university. Facilitating this relationship is virtually no burden on administration, as once the relationship begins between the mentors and entrepreneurs it develops by itself. A second level of advice can be made by engaging tax advisors, legal, PR, tech, and marketing agency to provide FREE workshops and support to the university entrepreneurs. They will do it for free in return to the reputation and the opportunity to have paid businesses in the future. By creating a resource of recommended services by other entrepreneurs, you will be able to save the entrepreneurs much time in sorting out bureaucracy, and allowing them to focus on their business. To start an incubator programme you only need one room, a table, a few chairs, and a wi-fi connection. That’s it. By facilitating this, the entrepreneurs will already benefit from saving the costs of renting office space, and will be able to have a working environment. While most early stage entrepreneurs still work from home, having an office space they can use & a community they can exchange ideas and knowledge with. Just one room with a tea kettle and wi-fi should be enough for 15-20 companies to begin to grow together, without management strain. Once this has been started, you’ll be able to develop further interest across departments, from Career Services to the Alumni Office, a rare find with universities. Entrepreneurs strive to spread the word. By promoting their services with the university community, you can help them find their first customers. This can also go beyond the university network to corporations who work closely with the university and other audiences. Posting on portals, Facebook, LinkedIn and including in newsletters could be a great start. Your university PR team is constantly looking for success stories and interesting development to make news about the university. Entrepreneurs are constantly looking for opportunities to get media coverage and boost their reputation. By simply connecting these two, you will create success on both sides. Flat Club, an LBS startups, was featured on the Financial Times, Forbes, Management Today, CityAM, and other publications – http://www.flat-club.com/media through a collaboration with the LBS PR team. One of the hardest challenges for entrepreneurs is to raise funding for their business. This is another great opportunity for the university community to facilitate potential interest with angel investors who are related to the university, or through crowd funding platforms. A growing number of individuals are investing in startups through crowd funding platforms. However, many of them don’t have the time to do proper due diligence and deal sourcing. By connecting your alumni network to entrepreneurs, you help potential investors save time and worry – they are much more likely to invest in someone who graduated from the same university than in a random company. Organizing quarterly pitching events can be an outstanding networking opportunity for both entrepreneurs and investors. For example, FlatClub's first investors were 2 LBS faculty members, and one of the largest donors of LBS itself! If you're university is looking to grow alongside your budding entrepreneurs, these steps will help you to facilitate their success - at no cost. If you'd like any more advice on how to best assist entrepreneurs at your university, get in touch with us at info@flatclub.com. In the "Make Money From Your Stuff" section in this week's Essentials magazine, FlatClub was mentioned as a great way to make some money from your spare room! Voula Kapeleri's story was featured in the article on page 115. 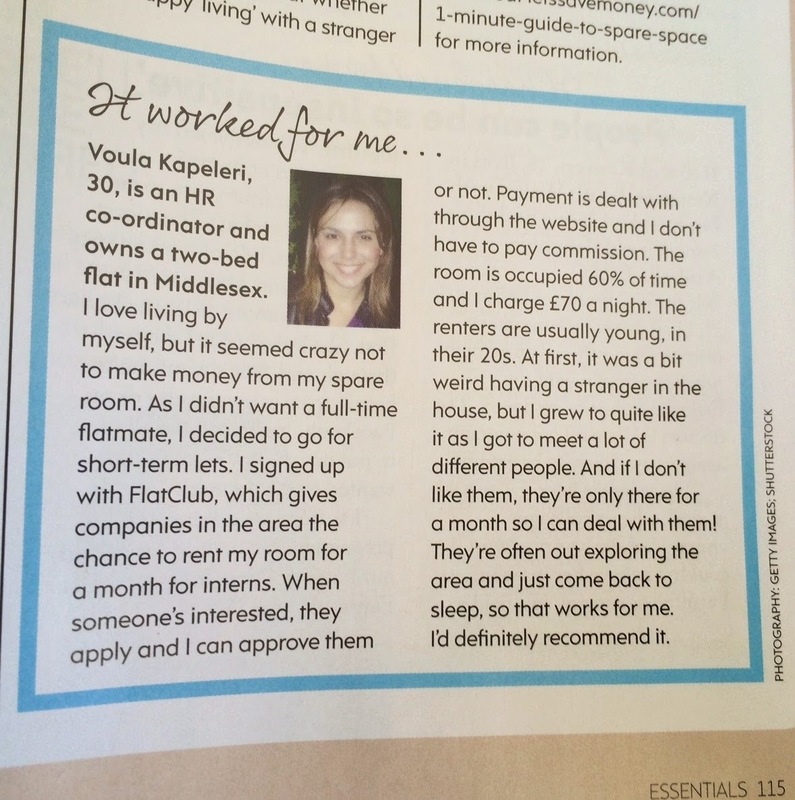 Kapeleri didn't want a full-time lodger, so she decided to list her flat in order to host interns one month at a time. It took her a little while to get used to the new people in her space, but she soon began to enjoy meeting the new diverse temporary flatmates. FlatClub is the perfect solution for Kapeleri to draw some extra income from her spare room without a full-time lodger. The rest of the article lists other ways to make money from the stuff you already own, from renting out almost any sort of item (baby clothes, kitchen appliances, and gardening tools are listed), to selling things to sites like musicmagpie.co.uk or webuybooks.co.uk instead of hassling with Ebay.